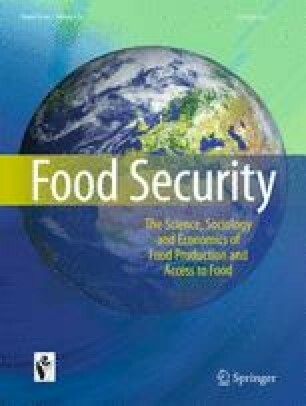 The main objective of this study is to present a food environment measure, the Produce Desirability (ProDes) Tool, to assess consumer desirability of fruits and vegetables (FVs) based on generalizable sensory characteristics that can be applied in diverse socio-ecological contexts. We implemented the ProDes Tool in rural and urban built food environments (grocery stores) in 11 counties in the frontier state of Montana, United States, towards elucidating access gaps to desirable produce based on rurality of location. Total ProDes scores were calculated by averaging the five sensory parameters of the tool (overall desirability, visual appeal, touch and firmness, aroma, and size) for individual and total FVs. We statistically analyzed the relationship of ProDes scores by FV type, rurality, Nutrition Environment Measurement Scores for Stores (NEMS-S), and price. Mean Total ProDes scores for all produce was 3.5 (SD = 0.7), or low to moderate, on a 7-point scale (0 to 6). Significant differences (p < 0.0001) in means of Total ProDes scores were found on the basis of rurality with FVs from the rural food environments having lower scores compared to the urban food environments. There was no significant relationship for Total ProDes Scores by NEMS-S Total Scores (p = 0.880; r = −0.019), NEMS-S Availability scores (p = 0.926; r = 0.012), NEMS-S Quality scores (p = 0.457; r = 0.095), and for the majority of NEMS-S acceptable ratings for individual produce. A significant negative relationship was found between price and the ProDes sensory parameter of touch and firmness (p < 0.0029) for total fruit. Findings support our overall hypothesis that FV desirability as measured by the ProDes Tool varies based on rurality of location of the built food environment in Montana. The lack of correlation of Total ProDes scores with NEMS-S scores rationalizes the need of the ProDes Tool to accompany existing food environment tools to more comprehensively characterize the food environment. The online version of this article ( https://doi.org/10.1007/s12571-017-0748-1) contains supplementary material, which is available to authorized users. The authors received funding support for the study presented here from the National Institute of General Medical Sciences of the National Institutes of Health under Award Number P20GM103474 and Award Number 5P20GM104417 and the National Science Foundation RII Track-2 FEC 1632810. The content presented here is solely the responsibility of the authors and does not represent the official views of the National Institutes of Health or the National Science Foundation. We are grateful to the consumer raters in our study for rating FVs using the ProDes Tool. Food and Agricultural Organization of the United Nations. (2002). The state of food insecurity in the world 2001. Italy: Rome. http://www.fao.org/docrep/003/y1500e/y1500e00.htm. Accessed November 2017. Health Canada (2013). Measuring the food environment in Canada. www.hc-sc.gc.ca/fn-an/nutrition/pol/index-eng.php. Accessed October 2015. Herforth, A., Ahmed, S., & Byker Shanks, C. (2017). Wanted: Food environment measurement tools. Agriculture, Nutrition, and Health Academy Newsletter. http://anh-academy.org/academy-news-events/blog/2017/02/21/wanted-food-environment-measurement-tools. Accessed November 2017. Moore, L.V., & Thompson, F.E., (2013). Adults meeting fruit and vegetable intake recommendations-United States. http://cdn.elsevier.com/promis_misc/AMEPRE_gfa.pdf. National Cancer Institute. (2015). Usual dietary intakes: food intakes, U.S. population, 2007–10. Epidemiology and Genomics Research Program website. http://epi.grants.cancer.gov/diet/usualintakes/pop/2007-10/. Accessed 26 November 2017. US Department of Agriculture, Economic Research Service (2013). Rural–urban continuum codes. http://www.ers.usda.gov/data-products/rural-urban-continuumcodes.aspx. Accessed March 2015. US Department of Agriculture, Economic Research Service (2015). Food environment atlas overview. http://www.ers.usda.gov/data-products/food-environment-atlas.aspx. Accessed October 2015. US Department of Health and Human Services National Cancer Institute: Applied Research Program (2015). Measures of the food environment. http://appliedresearch.cancer.gov/mfe/. Accessed 29 Oct 2015. World Food Summit (1996). Rome Declaration on World Food Security. http://www.fao.org/docrep/003/w3613e/w3613e00.htm. Accessed November 2017.